Looks good! How long until the biologicals are fully kicked in? Any interest in making it solar? Biological filter effectiveness depends on the bio strains, water, media suitability, and water flow. 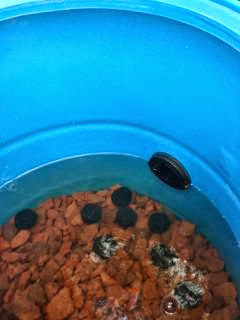 In our case it took a couple of days for the colony to establish itself but after a week the water looked as clear as ever and the only reason we had to do a water change was the leaves and acorns dropping in where creating their own tannic tea. What do you guys do with the dirt that the ducks leave in the pond as they are washing out their bills? We use PVC "chicken wire" laid down around swimming areas to keep the "dabbling" of mud/soil to a bare minimum. 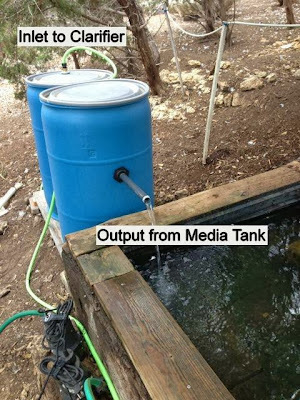 In this pond, we do still perform a dump now & then, and the pump pulls any mud or debris out. The small amount that doesn't get sucked out can be easily scraped up by a plastic dustpan. The water won't be 100% mud-free, but the volume of water in this pond (50+ gallons, I believe) is enough that any mud/soil will settle down to the bottom. Do you mind if I ask how well the filter worked in the long run? I've been toying with similar ideas for a few ducks, but see a lot of discouragement from people who tell me it's just hopeless to try to filter for ducks. I'd be keen for any updates you can offer. 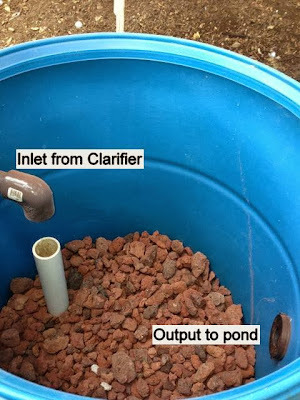 Hoping Spouse will chime in, but in a nutshell: filtering ~can~ help extend the days between water changeouts for ducks, as long as you keep a high water-to-duck ratio. 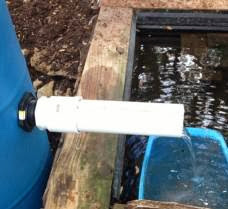 Because of our current setup, water changes were extended to almost double than what we did before (every 10-14 days, versus every 5-7). Winter is the wildcard; cold temps often put the biologicals into hibernation, so we have to change water more often during those times. 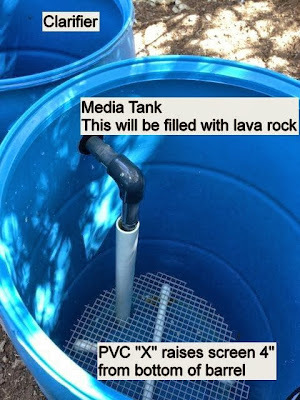 You'll probably have to experiment a bit to find the best ratio/filter media that works for you. Good luck!